This is definitely an exciting and brave new world. I say that because nutritional supplements are beginning to get their due from scientific studies that prove what we’ve known about them for a long time. Let me tell you why I’m so excited today. A headline I just read screamed something like: modulating the bacteria in your gut may hold the key to neuropsychological disorders. How long have we been discussing the brain-gut axis? It seems as if my entire career is finally being scientifically justified. Yet, still, conventional medicine won’t wake up. The majority of the science for probiotics has focused on gut health, but as the understanding of the gut and the microbiome increases, probiotics are increasingly linked to a range of beneficial effects. From weight management to immune support and allergy response, and from oral health to cholesterol reduction. I’ve talked about them in earnest in past Reality Health Checks–just type “probiotics” or “gut health” into the upper-right search bar on drpescatore.com, and you’ll get to review all the science on why probiotics are not to be ignored under any circumstances. Now, researchers are (finally) looking at the “gut-brain axis,” or the communication between the gut microbiota and the brain. Data from rodent studies has indicated that modification of the gut microbiota can affect the brain’s signaling mechanisms, instinctive reflexes, and even emotional behavior. And thanks to another, recent groundbreaking discovery…we now know there is a direct connection between the brain and the gut through the sympathetic and parasympathetic nervous system. A direct path of communication scientists never new was there before. These systems regulate blood flow to and from the brain. And the enteric nervous system contains a number of neurons (including motor neurons) that extend along the entire length of the gut. Which is why it now makes perfect sense that the bacteria in your gut can affect the communication between your belly and brain. And how the lack of healthy gut microbiota can lead to dysfunction in the gut–brain axis, which in turn may lead to a variety of disorders, from neuropsychological to gastrointestinal. Beyond this, intervention trials with select strains of probiotics have revealed that supplementation may influence mood (Lactobacillus casei Shirota), and anxiety and depression (L. helveticus and B. longum). As interesting as that is, these researchers can keep their “select strains.” You know how I feel about probiotics and modern science wanting to get famous for isolating one particular strain when we have billions of strains at our disposal. That’s why I always recommend Dr. Ohirra’s probiotics–because they have multiple strains that allow your body to recreate its own natural microfloral balance. 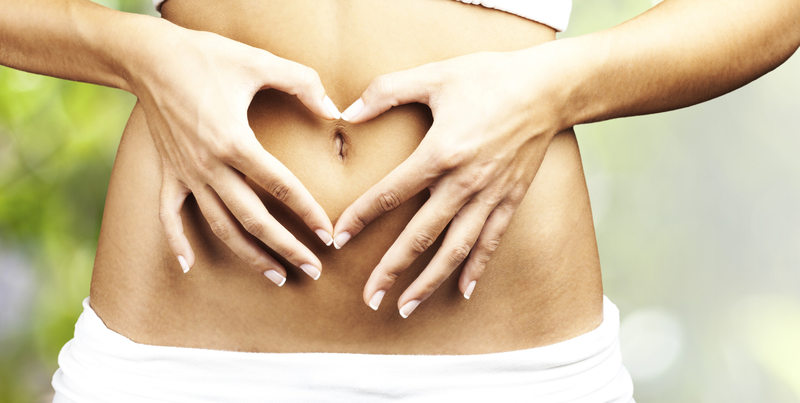 It’s time probiotics seriously got their due. And maybe they are: there is an event called Probiota America taking place this year and if that isn’t a step in the right direction, I don’t know what is. If all this has piqued your probiotic interest, keep the inspiration going by searching drpescatore.com for “probiotics,” “gut health,” and related terms. There’s a search bar on the upper-right corner of the homepage. Or check out the article titled “The secret to conquering cancer may be hiding in your stomach,” in the May 2015 issue of my Logical Alternatives Newsletter, to learn more about the benefits of probiotics. Including their role in everything from cancer to immune health. If you’re a paid subscriber, you can access this issue–and the complete archive–by visiting www.drpescatore.com and logging in to the Subscriber area of the website. And if you’re not already a subscriber, you can sign up securely by clicking here. “Psychobiotics and the gut-brain axis: in the pursuit of happiness.” Neuropsychiatric Disease and Treatment. 2015, Volume 11, Pages 715-723.